Supacat signed a £23 million contract with The Norwegian Defence Material Agency (NDMA) to supply a new fleet of High Mobility Vehicles in May 2015. The award includes the provision of a comprehensive through-life support package. The first ‘pre-series’ vehicle was delivered in early 2017 followed by full fleet delivery taking place during 2018 and 2019. The HMT Extenda is unique as it is convertible to a 4×4 or a 6×6 configuration by inserting or removing a self-contained third axle unit to meet different operational requirements. 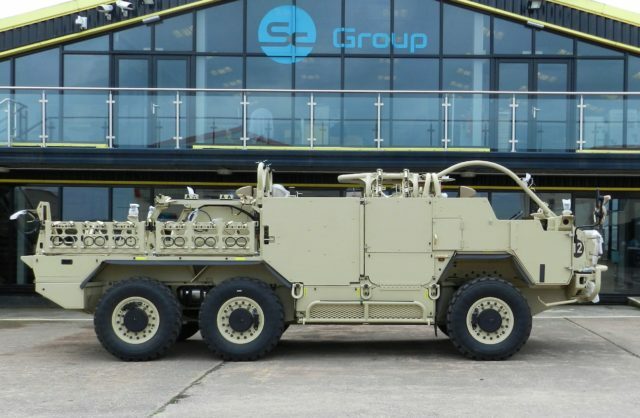 Like other HMT series platforms, such as the UK’s ‘Jackal’, the HMT Extenda can be supplied with optional mine blast and ballistic protection kits and with a variety of mission hampers, weapons, communications, ISTAR and force protection equipment to suit a wide range of operational roles.